More than 70 per cent of my patients come to see me at Oakville Osteopathy through personal recommendation from friends and family so if you think I might be able to help you please give me a ring and I will be pleased to discuss your condition with you and advise you whether osteopathic treatment is likely to be of help. 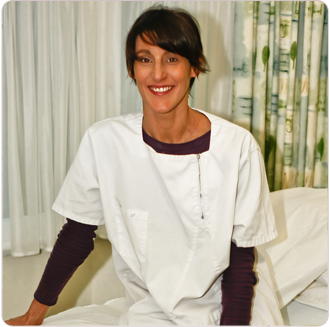 Justine Knowles graduated from the British School of Osteopathy in London in 1992 with a Bachelor of Sciences degree. Since then she has worked in practices in London, Staffordshire and the West Midlands and took over Oakville Osteopathy in 2000. She is registered with the General Osteopathic Council (GOsC) She is a Trustee of the Birmingham and District Osteopathic Clinic charity and continues to undertake regular training and development. She spends her spare time playing the piano and mandolin, running, writing and herding cats. Every patient is an individual and treatment plans are tailored to their needs, abilities and budget.